FOR HIM There are 11 products. 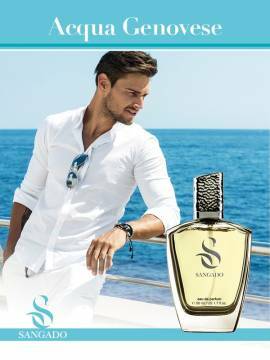 SANGADO fragrances for men are class EAU DE PARFUM. They are based on carefully selected, premium-quality essential oils. Our perfumes have 12-hour staying power due to the premium essential oils, utilized in a high concentration. They are a great buy for personal use or a gift for someone dear. Their cheap price and outstanding quality make them true bargains. Few fragrances are coloured black, and this is one of them. It is not by any means common, actually it is quite unique. 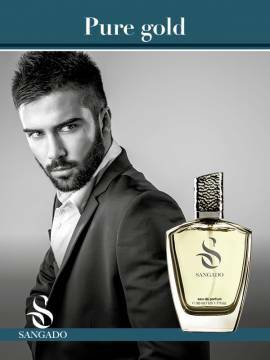 Black Exotic is created for confident and seductive men. It is dark, mysterious, smooth and deep. Its rich and hypnotic nature appeals to her senses and creates desire for more. The ultimate seducer. 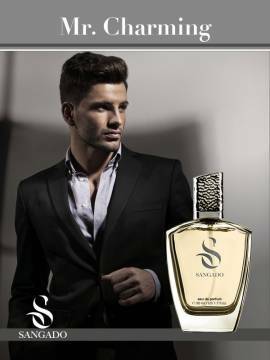 New scent, 50ml perfumeInvincible is a modern male fragrance. 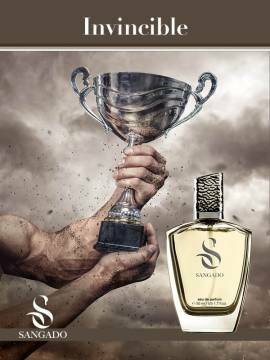 It is inspired by the man who bears the spirit of a champion and is obsessed with victory. 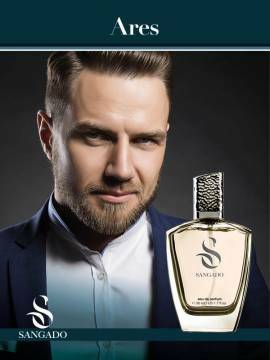 The composition of the perfume is based on wood notes, complemented by a fresh chord and the ultimate result is a triumph of masculinity and elegance.